Hello Ladies, I bet everyone love deals and discount ! How about you get a book of vouchers and you can enjoy complimentary services and also discount or even free membership and you can enjoy member's benefits. Let me introduce you to "Worthy Book Ladies Edition" Yes it is now available at all major bookstores- Mph, Borders, Popular, Kinokuniya, Times and mynews.com. This is how the Worthy Book ladies edition 2014/2015 look like. They are selling for Rm25. 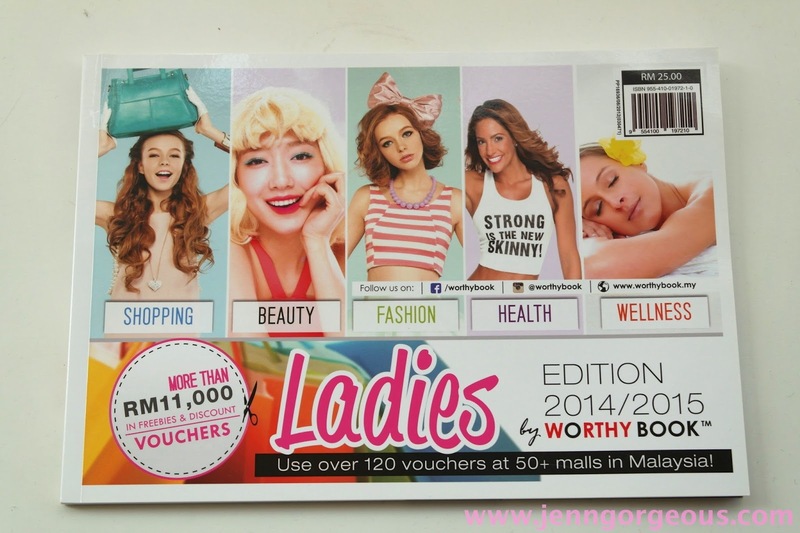 All the vouchers expired date until 31 march 2015. You can find deals for shopping, facial treatment, slimming treatment, bust enhancing treatment, beauty products discount, free 5 days gym memberships, free membership and enjoy member's benefits, spa discount and clothing discount. 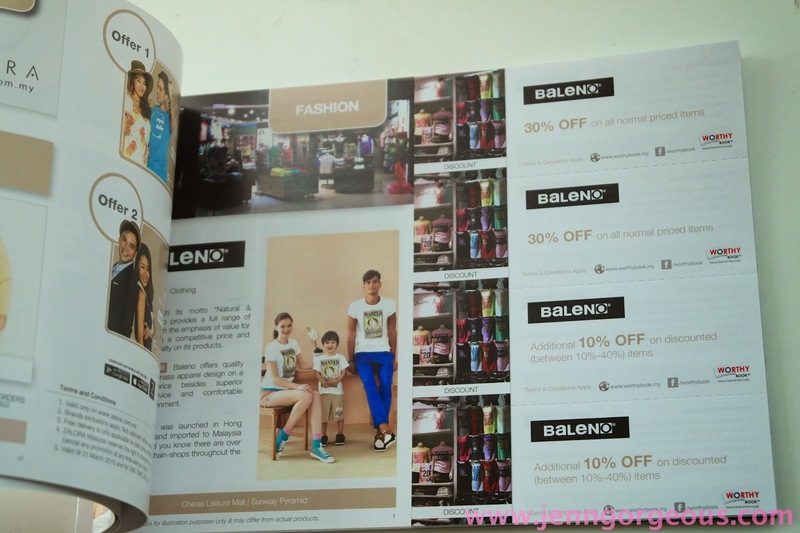 Example of voucher you can find in this book, discount offer, 15% off Any purchases. 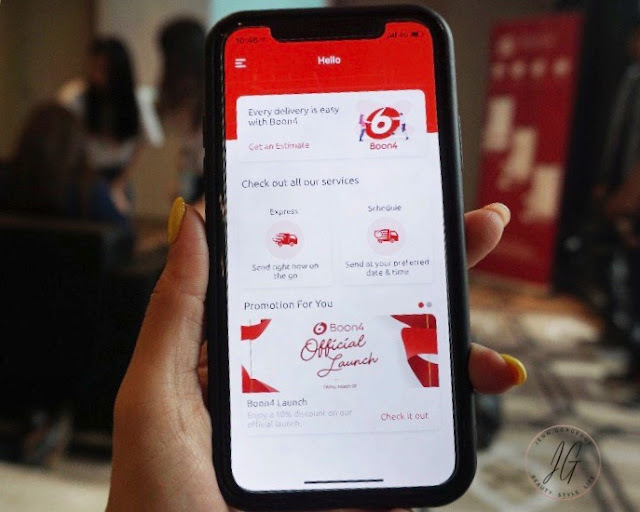 And you can also get free membership for any purchase without minimum amount of purchase which normal you would required to buy at least Rm200 and get the membership. All the terms and conditions are printed at the back of each vouchers. Besides that, you can find Buy 1 free 1 offer. And also discount voucher for additional discount for discounted item. 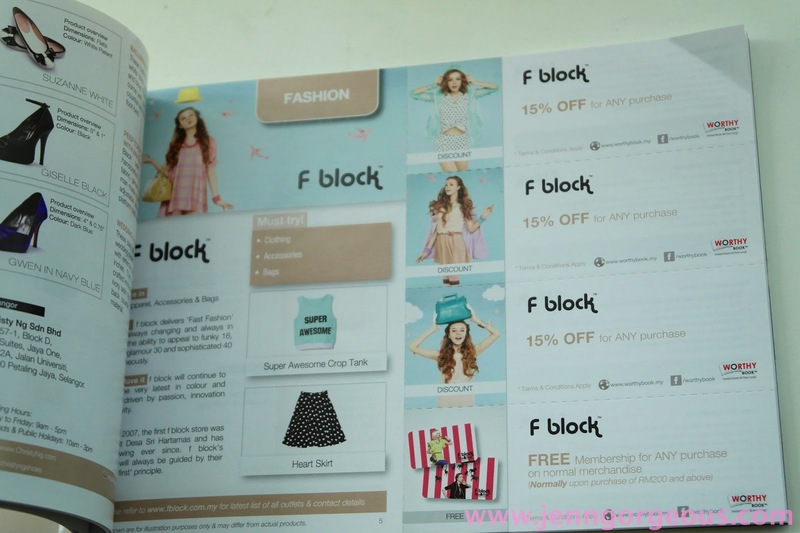 Some vouchers that give you special discount code that you can redeem from online purchase. I did my online purchase at the body shop, no minimum purchase and I got my detangled comb for only Rm5.90 (normal price Rm19.90 after 20%off RM15.90 and I used my Rm10 discount off ) and free shipping too . 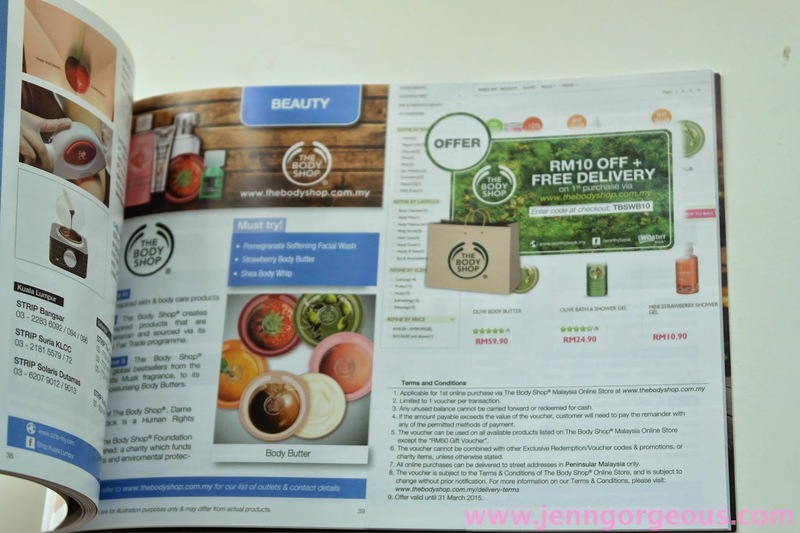 Algotherm, Babor, Monz, guardian, Himalaya healthcare, holika holika, muse by watsons, shills ,sothys, supermodel's secret, the body shop, the skin topic, the skin lab, TT mask, yves rocher, Icone de beaute, slimming sanctuary, Baleno, christy ng shoes, f block, mydressroom, three sixty, Zalora, My teksi, Jojoba spa, royal spa, serenity skin therapy, vila manja spa, Beebee nail, Bmic Nail spa, colour culture, sugarcoat nail salon, strip, celebrity fitness, ecoparadise spa, lo hong ka, kimarie, and zalora. Personally, I think you can fully utilised this book if you are staying around kuala lumpur and selangor area because most of the participating outlet is around here. For me Rm25 I think it still consider worth the money but it all depends on whether any of the participating outlet that you interested on buying or trying. If you wanna try out a new service or brand it is a good start here, because you don't have to pay full price of it, you can pay at discounted price. I hope for more participating outlet, and more attracting deal. The deal offering in this book is fair because I expected to have more free services for us to try out and more attracting deals.